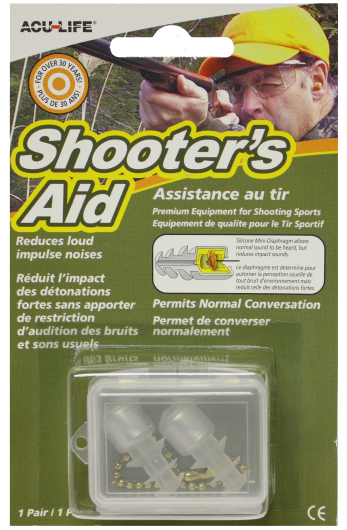 The Acu-Life Shooter's Aids reduce loud impulse noises, whilst eliminating any 'plugged up' feeling. A silicone mini-diaphragm allows normal sound to be heard, but reduces impact sounds. The soft silicone rubber cushion increases comfort for the wearing. Supplied in a handy plastic case for storage between uses.